We’d like to take a short break from your regularly scheduled topic of podcasting and other ways to create wealth through speaking. 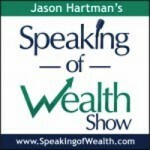 In its place, Jason Hartman, founder and CEO of Speaking of Wealth, would like to offer you a chance to win two free tickets to his ever-popular Creating Wealth in Today’s Economy Bootcamp. This one day event provides an in-depth knowledge about how to effectively and profitably invest in income properties. In slightly more than five days, depending upon when you read this, we’re going to conduct a random drawing. Voila! The tickets could be yours. Why would you want to go to Jason’s bootcamp? Offhand, we can think of about a hundred reasons, but here are a few. Need more information? We’d be worried about you if you didn’t. This link provides in-depth information about this remarkable education event. You can even get the Early Bird price by registering if you’re not certain you’ll win the free ticket giveaway. Or you can wait to see if you win the free tickets, then come back to register if you don’t. The information you’ll learn at the bootcamp is unparalleled in today’s “guru” driven market. Jason doesn’t believe in wasting your time with a line of upsells that takes up half the day. This is honest-to-goodness income property investing information straight from the mouth of the guy who’s been making millions from this process for more years than he’d like to mention. Everything you need to know about how to select and purchase your own rental property will be included at the bootcamp event. If you’re super serious and ready to start, Jason and his team of investment counselors can show you dozens of premium properties ready to be bought. Or maybe you only want to listen to the speakers with an open mind and decide for yourself whether this form of investing is for you. Either way, it’s the perfect opportunity to reach for that brass ring. Let June 28, 2014, be the day you begin to create the kind of wealth and self-directed lifestyle you’ve always craved. Click here to register for the Creating Wealth in Today’s Economy Bootcamp free ticket giveaway!